Artist's impression of the P.103 over a fleet carrier. 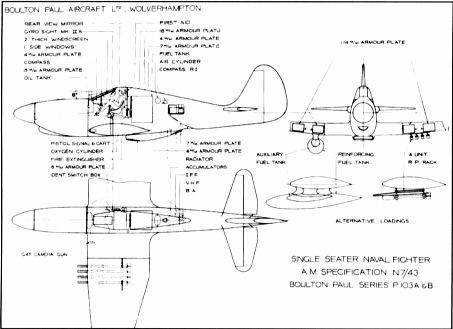 Equipment layout for the P.103A, Griffon-powered. 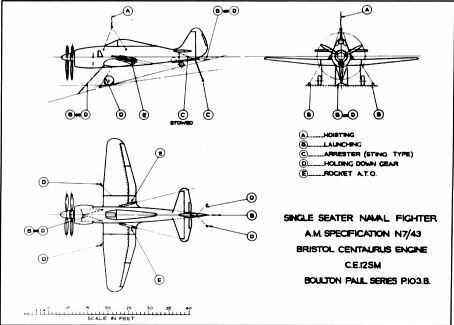 Three-view of the Centaurus-powered P.103B.